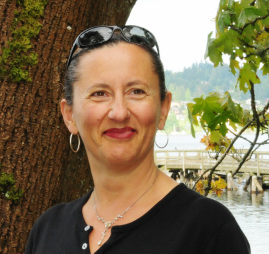 Clara Cohen has been a professor at the Boucher Institute of Naturopathic Medicine in New Westminster, since 2008 and enjoys every minute of it. She also keeps taking seminars and workshops on Chinese medicine & natural health to further improve her knowledge and to help her patients with their healing process. Over the years, she has taken extensive training under well-known specialists such as Sharon Weizenbaum, Jane Littleton and Robert Chu. Clara has been a presenter and speaker at many conferences. She spoke at the 2011 & 2013 BCNA conference in Vancouver, about Chinese medicine and fertility, and acupuncture during pregnancy. She was also a speaker at the first Cancer Symposium presented by the Boucher Institute in February 2011, about the benefits of Chinese medicine as part of cancer treatments. "Clara is a warm, funny, down to earth person. She is passionate about what she does. She is also a dog lover which goes a long way in my books . Her sessions are not "routine". She is genuinely interested in your health/life in general and treatment is determined from that at every visit I started seeing Clara when I was experiencing infertility due to endometriosis. She was with me through the hard times (the first ivf failed) and the joyful times (2nd ivf- success, had a son Nov 2015)! Clara also came in on her days off so I could have acupuncture on our embryo transfer day (when using acupuncture with ivf there is a "time" protocol for treatment). We are thinking about trying ivf once more and will be using Clara! Highly recommended!!!!!!"